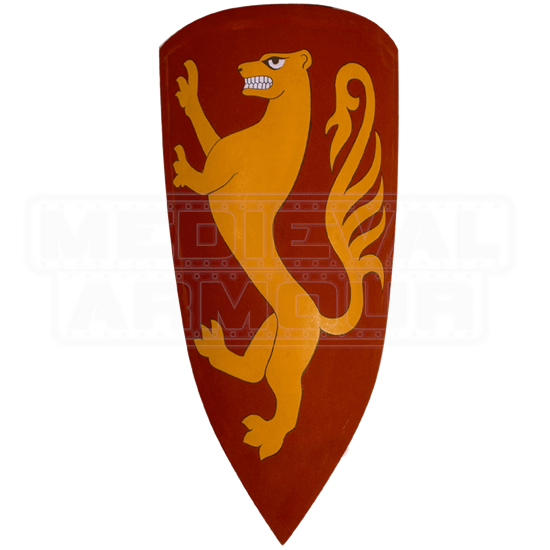 The Normans were noted for being the first major users of the classic kite shield, and this shield replicates a classic design, as well as a fearsome looking heraldry. All in all, it might be a Norman Shield, but any warrior could use this defense. This shield is very-much a classic kite shield, featuring a slight, rounded top as well as a subtle curve to the edges of the shield, while still tapering down to a distinctive point. The shield is made from plywood lined with linen, and its face is hand painted to give it impressive detailing. The face is bright, vibrant red, while also featuring a yellow-gold heraldic lion-beast emblazoned on the front. Featured on the back of the shield are three strong leather straps for carrying and use. The shield measures approximately 46 inches tall and 28 inches wide around the curve. Mount this shield on your arm and you will be ready to ride into battle alongside your fellow warriors. 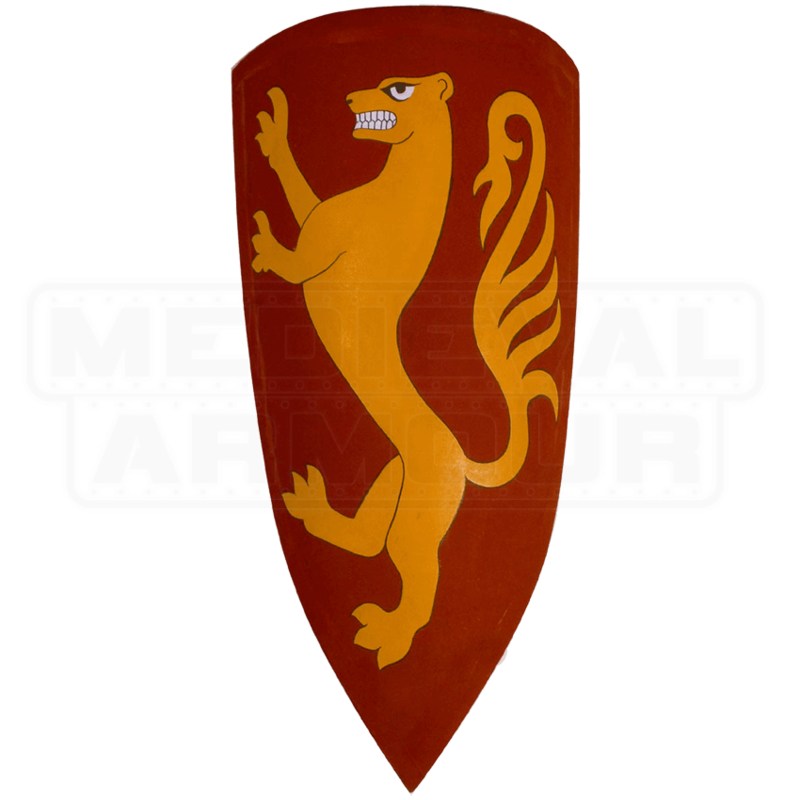 And after battle, you can decorate your house, mead hall, or lodge, so that all your guests and visitors can catch a glimpse of this impressive Norman Shield.